MUMBAI: The first half of 2018 is done and these six months have seen some of the major blockbusters with chart topping songs and album. Be it Raazi, Veere di Wedding, or now Sanju; each of these films gave smashing numbers. The next six months have another spate of films with music score by giants. 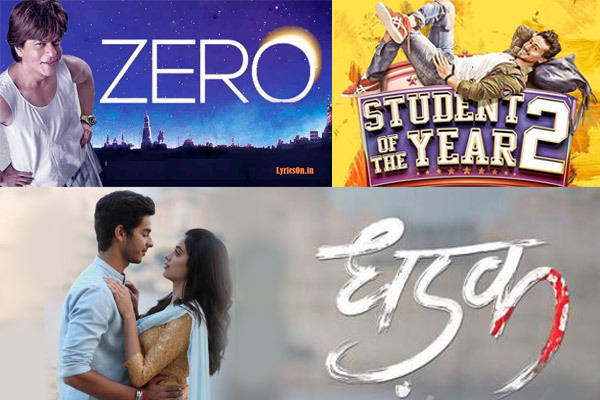 Dhadak: Remake of Marathi blockbuster Sairaat, Dhadak is also a launchpad for late Sridevi Kapoor’s daughter Jahnvi Kapoor and Shahid Kapoor’s son Ishaan Khatter. The composers of the film are Ajay-Atul, who are the composers of the original film too. While the peppy track Zhingaat is retained in the film and customised for Hindi audience and the title track already out, we cant wait for the next songs from the album to be out. Fanne Khan: Touted to be a musical drama, Fanne Khan stars Anil Kapoor, Aishwarya Rai Bachchan, Rajkumar Rao. The music for the film is by Amit Trivedi and this is a reason enough to wait to hear the songs. Thugs of Hindostan: A stellar star cast starring Amitabh Bachchan, Aamir Khan, Katrina Kaif, Thugs of Hindostan is already making waves. The movie is told to be an adventure period film and is based on a novel Confessions of a thug. While the curiosity for the movie rises every day, the music for the film is an equal intrigue factor. The music is composed by Ajay-Atul and knowing their ability to produce different sound, this album is certainly a watch -out. The film is set for a Diwali release this year. Student of Year 2: The first one had songs that people still hum. Be it isco Deewane or Ishq wala Love. And now with the second one in the offing with Tiger Shroff, Ananya Pandey and Tara Sutaria, too promises of an album with fresh sound and music. This Vishal-Shekhar album would sure be a favourite with the younger generation. Zero: A Shahrukh Khan Film is a reason enough to be excited. To add to the excitement, the producers released a sneak peak of a song from the film featuring Salman Khan and Shah Rukh Khan both on Eid. The much in demand duo Ajay-Atul have composed the score for this movie also starring Anushka Sharma and Katrina Kaif.